WOTC Questions: Do I Have To Fill Out the WOTC Forms? At CMS, as Work Opportunity Tax Credit (WOTC) experts and service providers since 1997, we receive a lot of questions via our website from a new hire. CMS Says: This is a frequently asked question that we receive from both employers and their new hires. 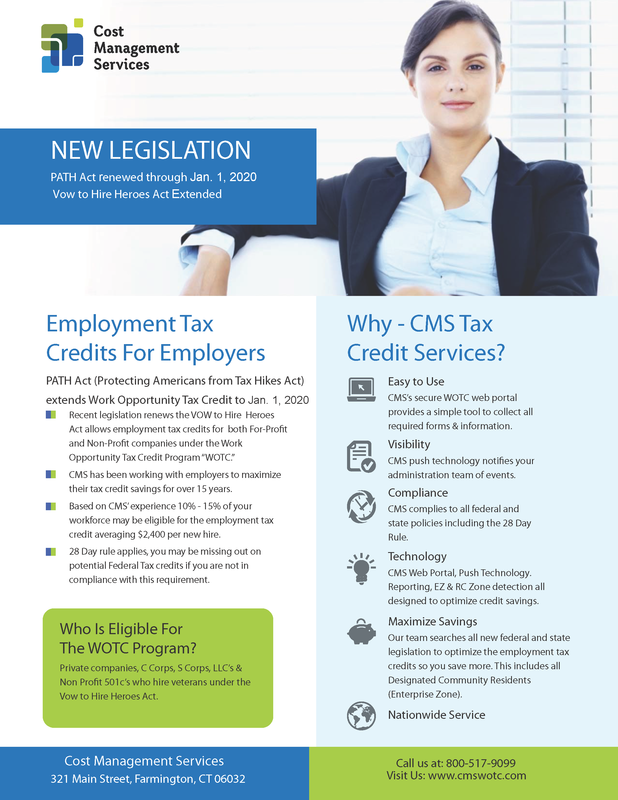 The Work Opportunity Tax Credit program is an incentive for employers to hire new employees from targeted groups of employees. New hires may be asked to complete the WOTC questionnaire as part of their onboarding paperwork, or even as part of the employment application in some cases. It is voluntary on the new hire’s perspective, an employer cannot require you to complete the forms. If you have questions or concerns about providing the requested information, please ask your HR department. This entry was posted in WOTC News, WOTC Questions and tagged Work Opportunity Tax Credit, WOTC FAQ, wotc questions. Bookmark the permalink.